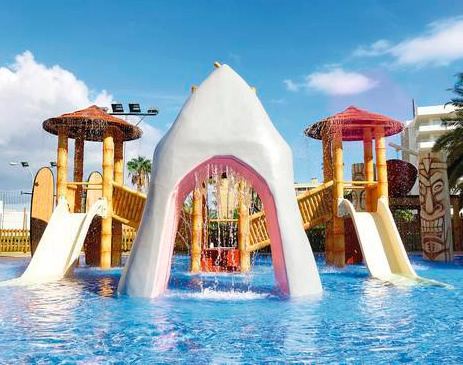 This popular 3 star has just recently been refurbished and provides a great choice for a family all inclusive holiday. Located in Playa del Ingles the hotel is 1.5 kilometres from the beach (the hotel provides a complimentary bus service to the beach). The centre of the resort is 500 metres and the Metro and Kasbah shopping centres are 400 metres away. Las Palmas airport is 30 kilometres from the hotel. 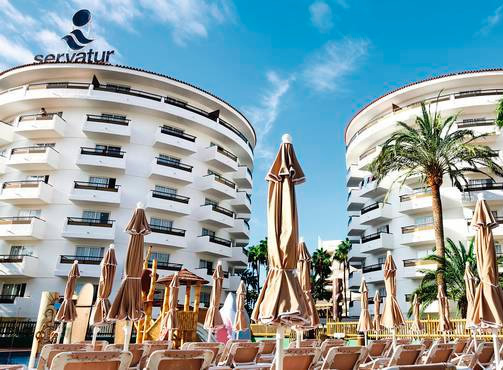 The eye catching Servatur Waikiki Gran Canaria has five 7-storey round buildings and they are set in 3,500 square metres of subtropical gardens. 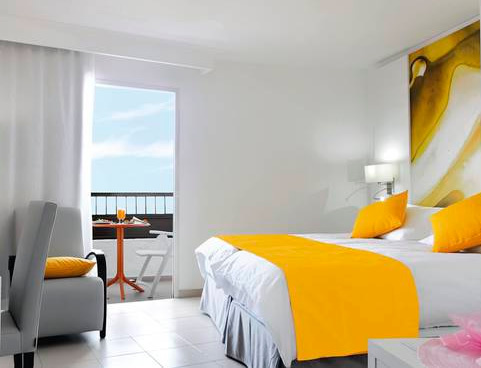 There are 505 guest rooms with light, airy modern interiors, comfortable furnishings and a good range of facilities. Each room features twin beds, private bathroom, ceiling fan, direct dial telephone, satellite TV, in-room safe and furnished balcony or terrace. 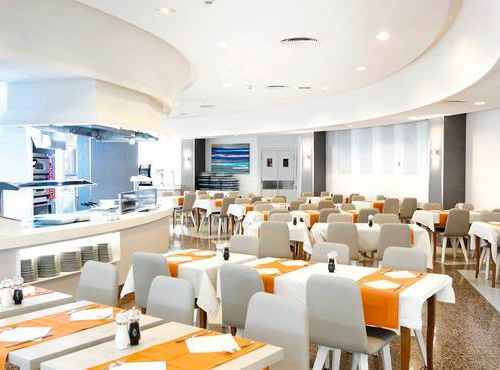 The all inclusive package includes all meals and snacks; breakfast is a varied buffet with wholegrain products and on the spot cooking stations, continental breakfast/snacks. Lunch is a buffet plus on the spot cooking stations and assorted desserts. Dinner is buffet and dishes prepared on the spot with 2 theme evenings per week. Unlimited local beverages (alcoholic and non-alcoholic drinks) are available at both hotel bars and restaurants until midnight. The Servatur Waikiki has a wide range of facilities including a large (550 square metre) swimming pool (heated in winter) children's pool (heated in winter), complimentary sun loungers and parasols, sun terrace, children's playground and Mini club. The hotel has table tennis, shuffle board; work out gym, volleyball, water polo, aguagym and 2 hard court tennis courts, racquets and tennis balls available (deposit required). There is also billiards and table football (additional charge). 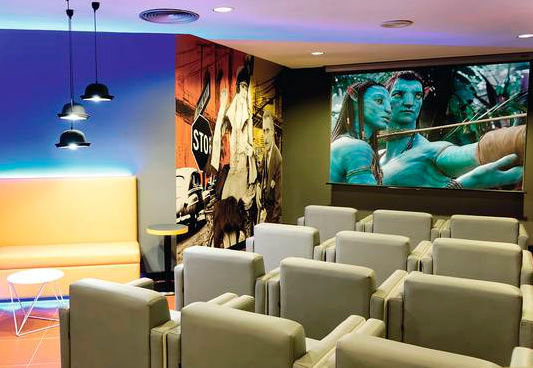 The Waikiki, Playa del Ingles has a 24 hour reception, boutique, hairdresser, massage room, use of computers and internet access, Wi-fi Zones, TV Lounge, currency exchange Traveller's cheques are not exchanged, cash exchange only. Near to the hotel guests can enjoy an assortment of water sports, bicycle hire, squash or play golf. Additional charges may apply to some of the above sevices.